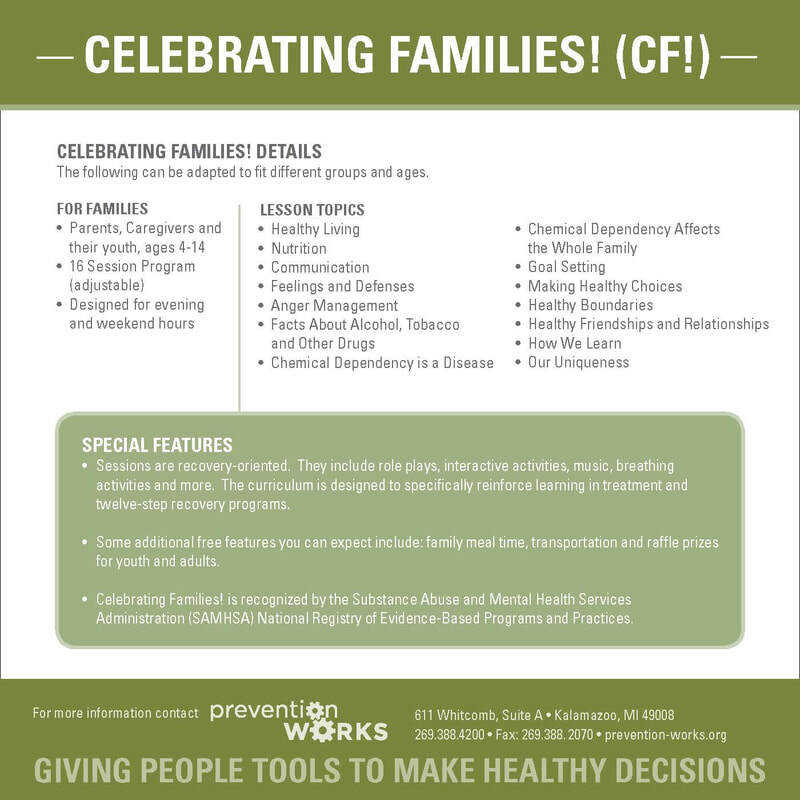 Family Programs are an essential tool towards our mission at Prevention Works. Our programs use parent, child and family skills-building curricula designed to help parents and children fill their toolbox. Upon completion of the programs, parents and youth will feel more connected and have a new or improved set of skills for communicating with one another. Together, families celebrate their strengths. These free programs include a family meal, transportation (upon request) and raffle prizes for adults and youth at every program session. The whole family is invited to attend, regardless of age. Activities and supervision will be provided for youth outside of the program age range. We currently offer three unique family programs. 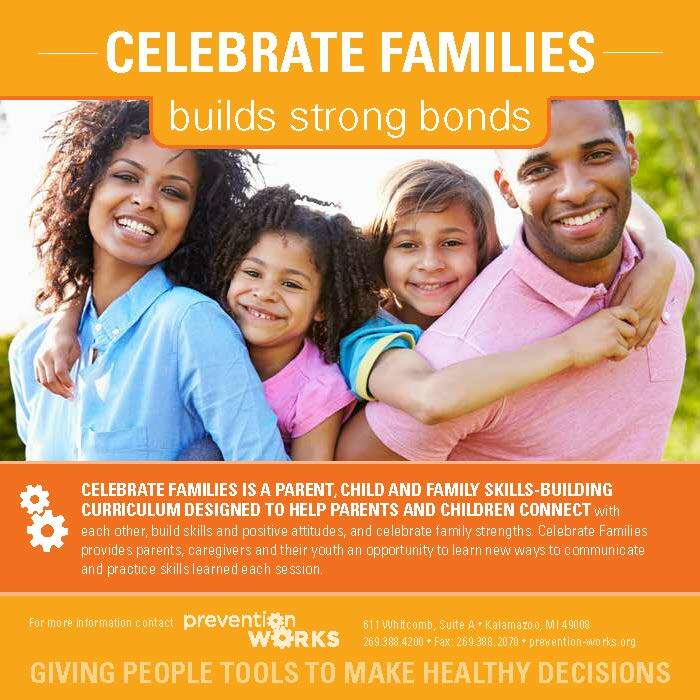 Family skills-building program designed to help parents and children (ages 5-9) connect with each other, build skills and positive attitudes and celebrate family strengths. 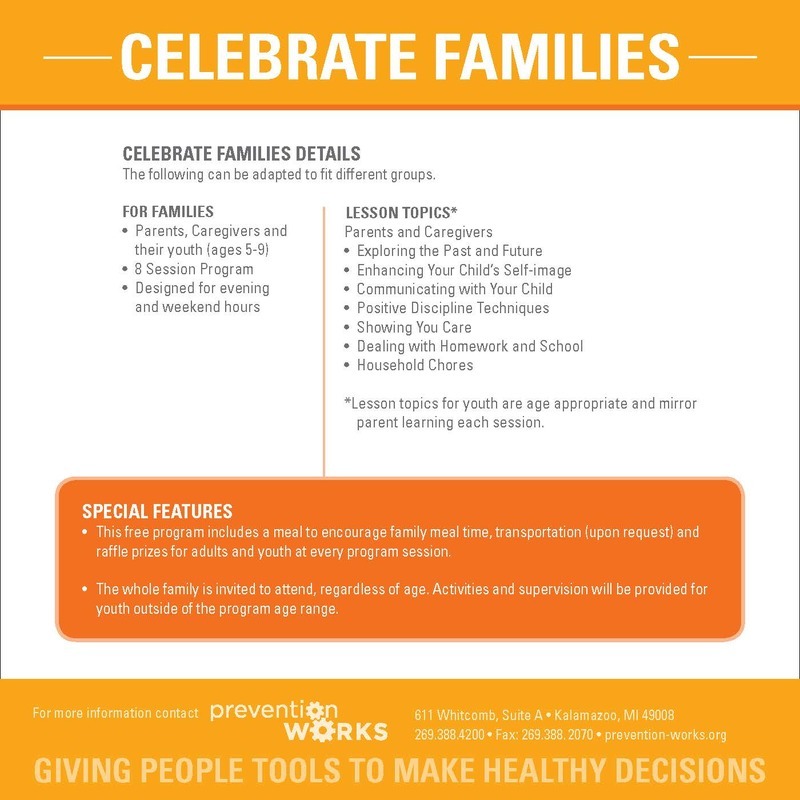 Celebrate Families provides parents, caregivers and their youth an opportunity to learn new ways to communicate and practice skills learned each session. 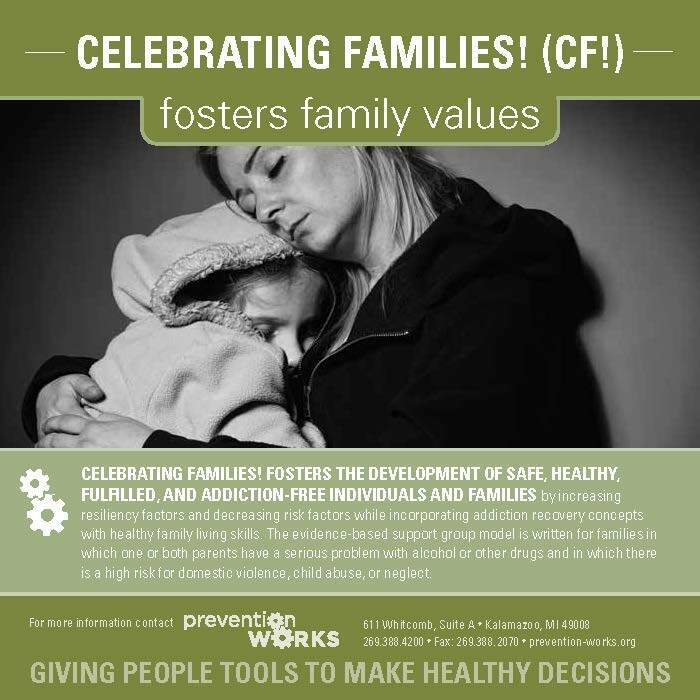 Family program designed to foster the development of safe, healthy, fulfilled and addiction-free individuals and families by increasing resiliency factors and decreasing risk factors while incorporating addiction recovery concepts with healthy family living skills. This support group model is written for families in which one or both parents have a serious problem with alcohol or other drugs and in which there is a high risk for domestic violence, child abuse, or neglect. 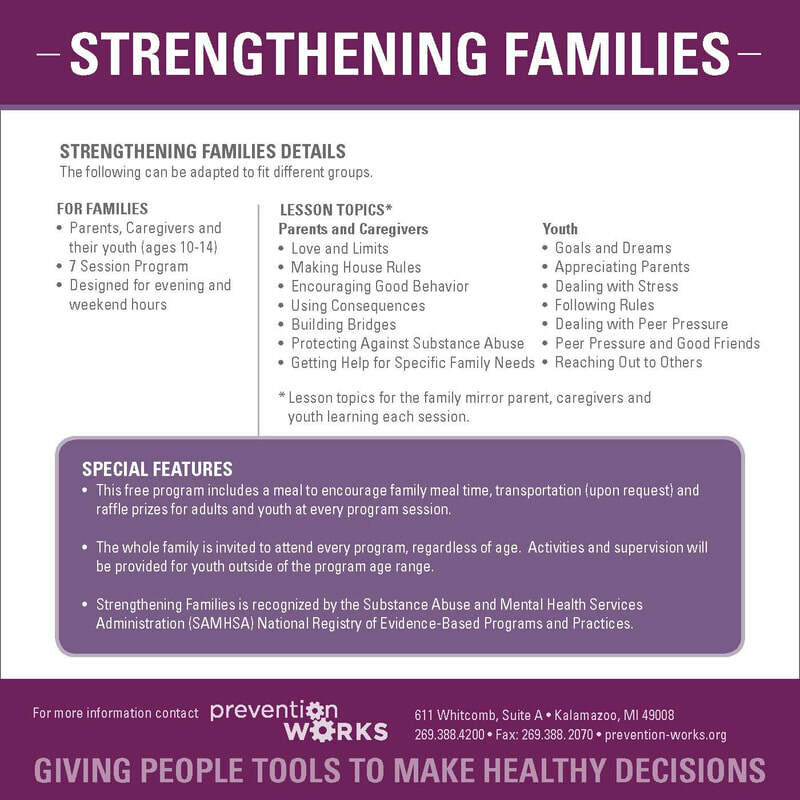 Family skills-building program for parents, caregivers and their youth (ages 10-14) designed to increase resilience and reduce risk factors for behavioral, emotional, academic, and social problems. 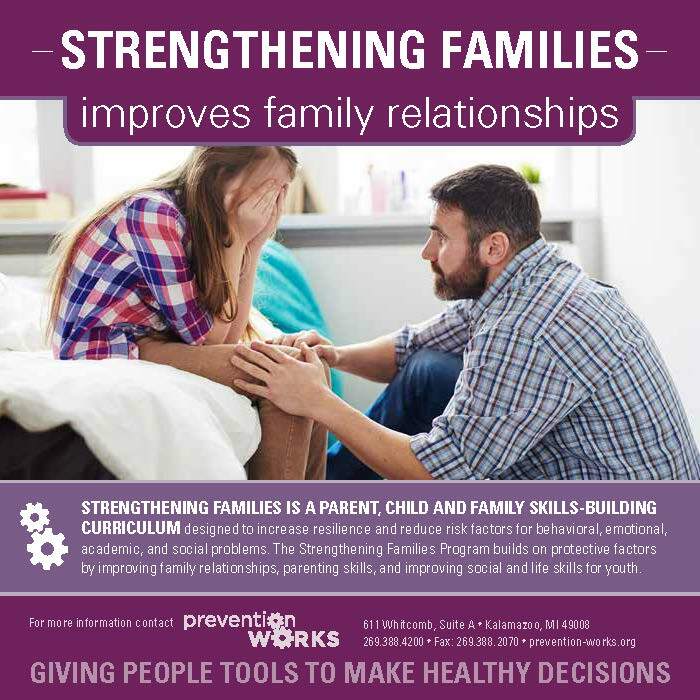 Strengthening Families builds on protective factors by improving family relationships, parenting skills, and improving social and life skills for youth. This program is ideal for parents with pre-teen and teenage youth. Tuesdays, 6:00 - 8:00 p.m.